In an effort to drive digital and financial inclusivity, Mobitel recently launched mCashQR, as an additional component to its mCash mobile app. By using a Quick Response (QR) code, users can make transactions with greater speed, ease and convenience. The mCash app allows customers to top up, withdraw mCash and send cash to other users as well as make bill payments and purchase goods and services. 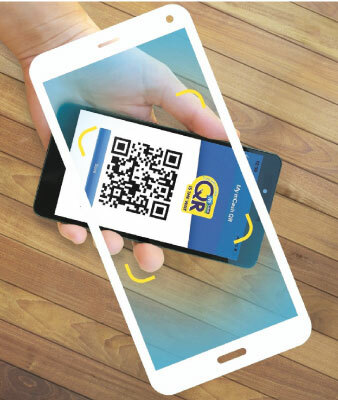 The QR function simplifies the overall user experience for customers and retailers alike, enabling users to quickly scan a QR code and make the relevant transaction within a few seconds. The updated mCash mobile app can now be downloaded free of charge for Android and iOS mobile users, and within the next few weeks, mCashQR will be rolled out to over 16,000 mCash touch points island wide. mCashQR was developed as per the technical standard of EMVCo (Europay MasterCard Visa Contactless), a global standard, making it an easy transition to LankaQR which has been introduced by the Central Bank of Sri Lanka making the QR Code interoperable with other payment service providers.